There has been a lot of publicity about what private information is shared with third party companies. So I decided to do a little cleanup and review of my own Facebook profile settings. Check out what I discovered. With all the publicity surrounding Facebook’s information leaks, along with a better public awareness of what information Facebook is collecting about you and your activity on the platform, I decided to do a little spring cleaning of my own account and pages. With the goal of having the best experience on Facebook, I also wanted to safeguard the information that I’m sharing with the public and third parties. Here are some reasons you may want to have a look at your Facebook profile and the way your information is set up. Remove unwanted access. You likely have selected to share your personal data with third-party sites and apps. Some of these you may never plan to use or have stopped using. You might want to consider removing access to any apps that share your data to protect yourself. Review your privacy settings. Facebook is constantly adding and changing platform features, and that means that information you may have selected to share in the past could lead to exposure of your data in ways that you originally didn’t think was possible. Periodically review and adjust settings to protect your data. Friends and followers cleanup. This is something I have done every year or so. You likely have met people, made new contacts, and added clients or customers to see or access your Facebook shared content, but as your network evolves and changes it may be that you no longer want all of these people to see what you are sharing. Review your friends and followers and clean out what you are sharing with whom. This is also commonly referred to as “unfriending.” It’s okay…you can remove people. Clean up images. Have a look at the images you have shared on Facebook in the past. Are there photos you no longer want to keep accessible on your profile? Here is your chance to tidy things up and remove any photos that you no longer want to display. 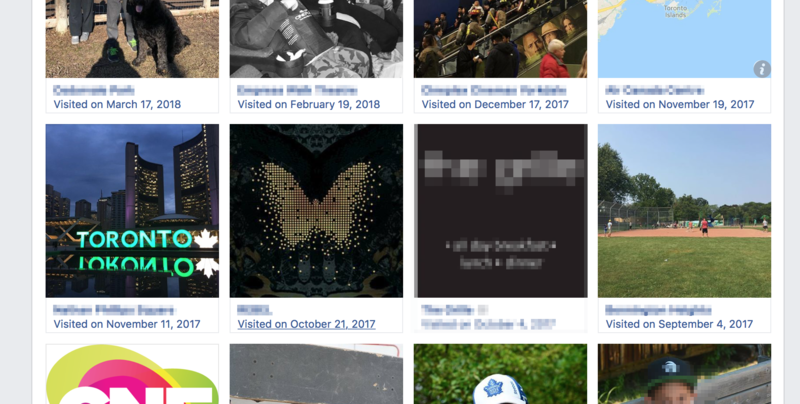 Review tags – You may have been tagged in a post or tagged at an event which may or may not be shared on your profile. Depending on your privacy settings, you may or may not want this public. Take this chance to look at where you’re tagged and remove any that you don’t want to share. Groups – Have you looked at groups you have joined which you may not want to be a part of anymore or receive notifications from? Page likes – What pages have you liked in the past? There is a way to look this up, and it’s possible you may want to “unlike” some that you’re no longer interested in. What you like and who you interact with on the platform can affect what you see in your feed as well as the types of ads you are exposed to. Profile Cleanup. Look at what information you have shared on your profile, this can include your interests, music, likes, etc. Again this can affect what you see in the feed and which ads you see. These are all great places to start looking at some of the overall elements you might want to clean up. Next, let’s look at the steps involved in updating and cleaning up your settings and information. This allows you to set the ability to see posts from specific people, pages, or groups first, to unfollow people, and more. Click the circle icon with your picture. This will bring up your Facebook profile. At the top, in the middle of the cover photo, you will see a button for “Edit Profile.” Select that. Here you can adjust your profile and cover photo image, edit, or add a bio. Adjust pictures people can see, and then you get into personal data like work history, location, and other personal details that you want to share. Go through each of the “About” tabs and verify that the information there is relevant and up to date. If you don’t want to share any of the data that is there, just delete it. This is where you’ll want to review your email address, links to your website, Skype number, and any other details that need to be updated and/or made private. Continue reviewing your profile and look at videos/photos, removing anything you don’t want or making them private. Check-ins – you can remove some if you don’t want to share them, or they’re not relevant anymore. Pro tip – to remove a checked-in location – click on the date that displays when you checked in > click “Edit” > delete the text in the “Location” box. This is always a tricky topic for people to deal with, but for me, it comes down to looking at contacts and deciding if there are people that you may have added that you no longer want to keep part of your inner circle. If there are people you no longer want to share your posts with – or – people whose content you no longer want to see, consider unfriending them. You may have your profile set up to allow people to “Follow” you, so even if you unfriend someone they may still be able to see your updates. 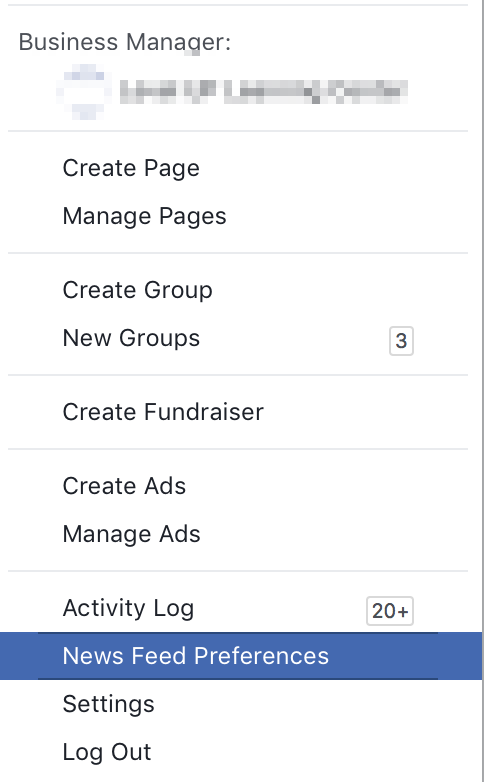 Another category to pay attention to is “Apps and Websites.” This section shows a list of apps and websites you have allowed to connect to your Facebook profile. I strongly recommend you REMOVE any app or website you do not actively use, or haven’t used in a long time. In addition, I recommend you “View and Edit” each app – this allows you to add/remove what data third parties are allowed access from your Facebook profile. I have adjusted almost ALL of the connected apps – most of which I’ve removed any access that allows them to see my friends list, photos, or places I’ve been to. If any of that data does not impact how you use that app or site, don’t share the info. Doing a clean-up of your Facebook account, or any other social platform is never a bad idea. 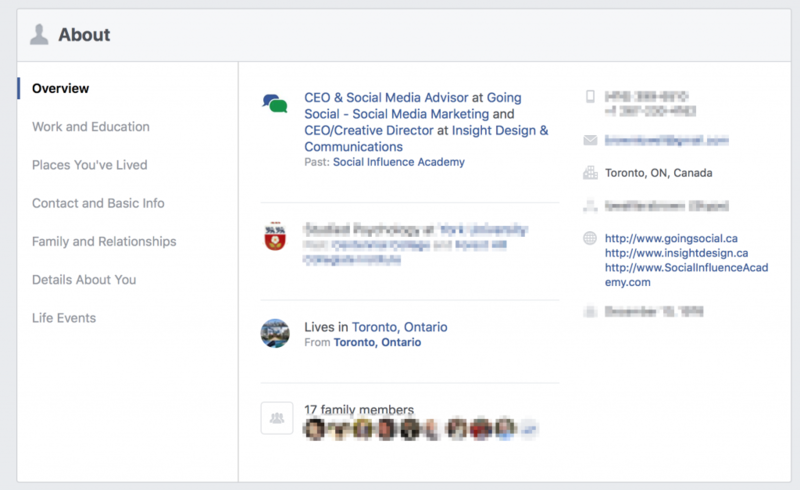 You might be surprised how this can help streamline and tidy up your Facebook Newsfeed, and it’s always great to protect your own data and become aware of what other people can see and access. If you found this blog post helpful, please share it on your favourite social platform. I’d also love to hear your ideas and suggestions, so please leave me a comment below!